Adam Sandler and his famous song. . . Sometimes the greatest message come with the tune without a lyric. . .
H E A R D. . .
Hanukkah began at sunset last evening. . .
mere hours a way, still. . .
teach us all a lesson we really need to learn? 1. 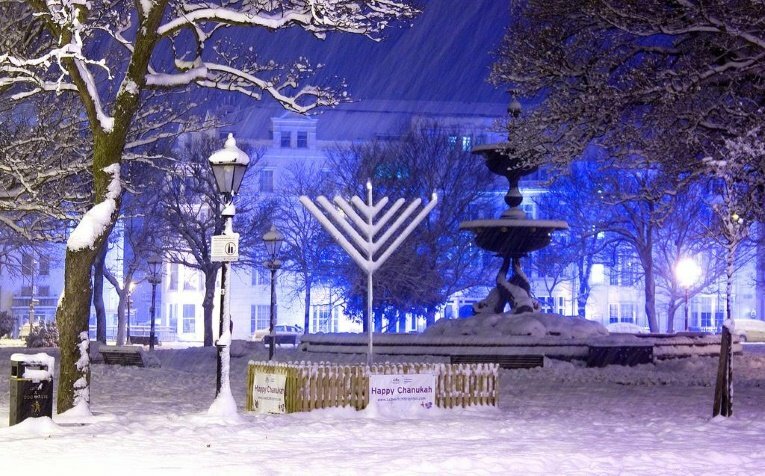 Even on the coldest nights, the menorah will always burn bright. 2. 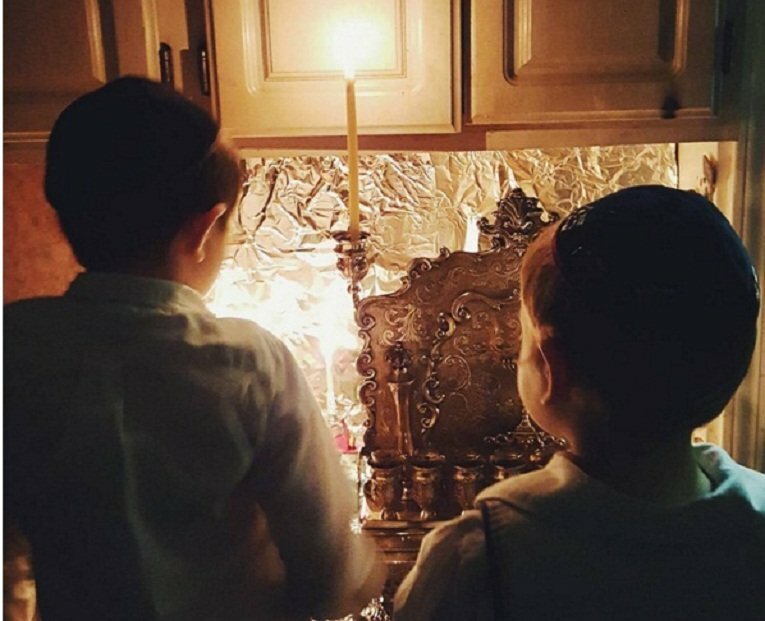 Our children will pass HANUKKAH on to their children, who will pass it on to their children . . . forever. . . IF WE ACTUALLY TEACH THEM THAT LIGHT OBLITERATES DARKNESS ON EVERY LEVEL! 3. Even after the greatest destruction, we continue to kindles the lights. 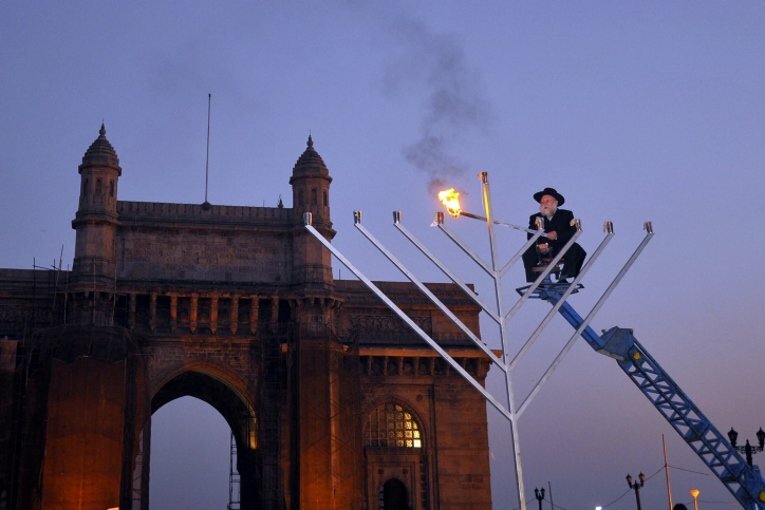 Terrorists could not stop Rabbi Shimon Rosenberg from lighting the menorah in Mumbai, India, where his daughter and son-in-law had been murdered just weeks earlier. 4. It brings light, and light pushes away so much darkness. 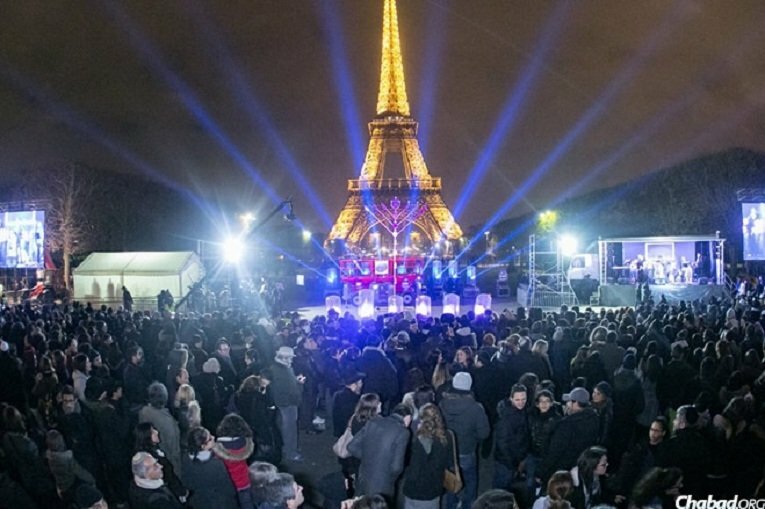 The Jews in Paris, France, even after the most horrific terror attacks, were not frightened to live and celebrate as proud Jews. 5. 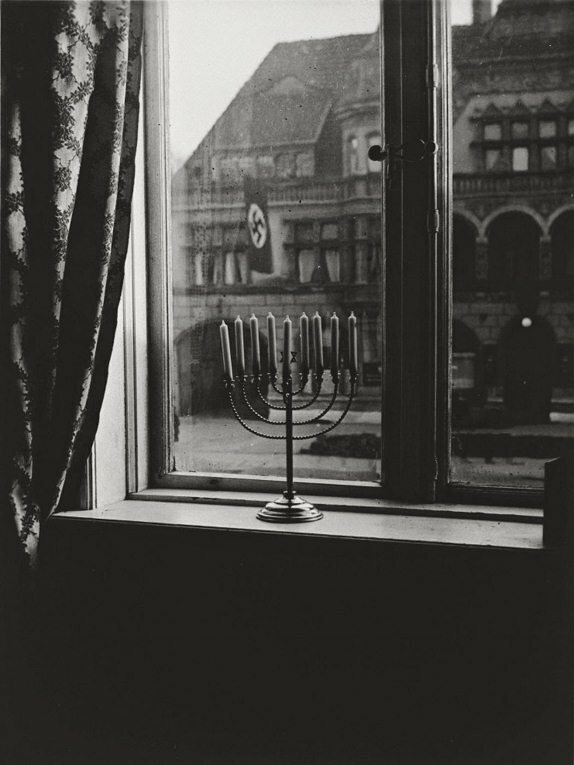 When a small menorah stood for justice and freedom . . .
6. . . . even after all else was seemingly destroyed. 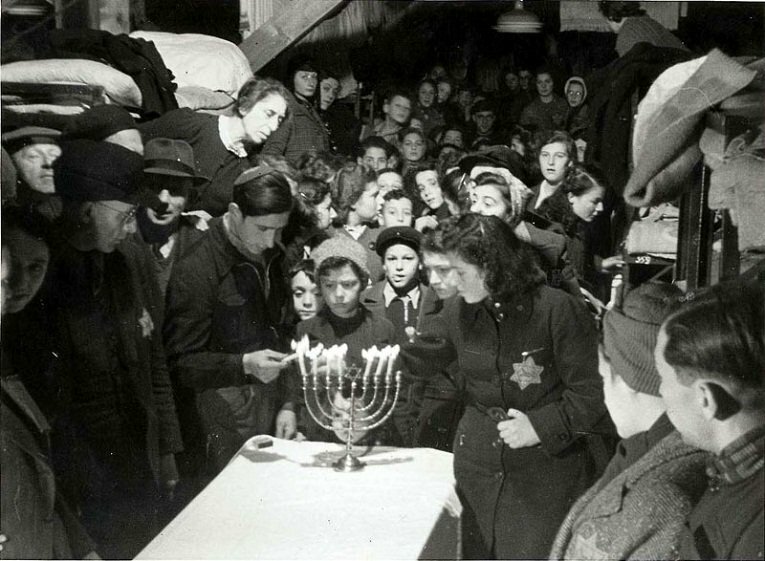 Jews in the Westerbork transit camp in Holland light candles on the seventh night of Hanukkah. Some 106,000 Jews, including Anne Frank and her family, were deported from Holland to death camps in Poland through Westerbork. 7. And we lived to see the lights return to illuminate the world once more. 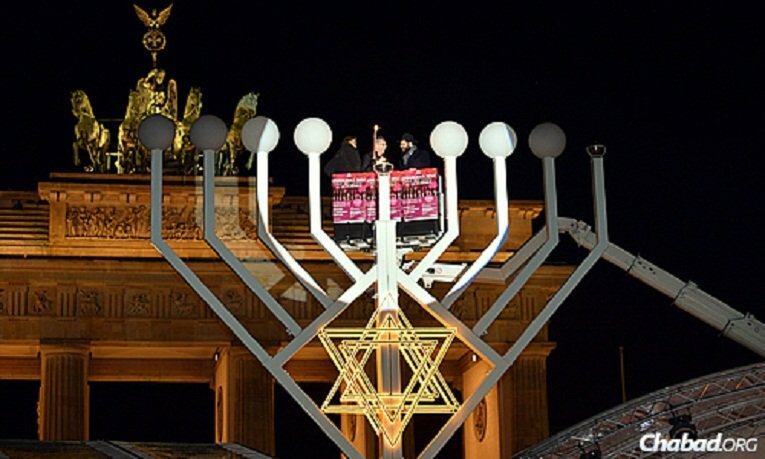 A giant menorah is kindled at the Brandenburg Gate in Berlin. 8. Brave young men and women risked their lives to ensure that Jewish people will live in safety and security in generations past . 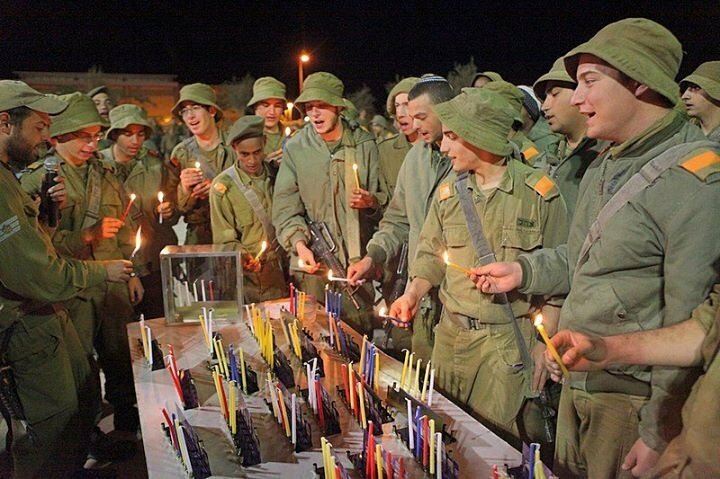 . .
Israeli soldiers around the Hanukkah lamp in the bunker on the Suez Canal, 1971. 9. . . .and on to the present day. 10. So that we may celebrate in freedom! 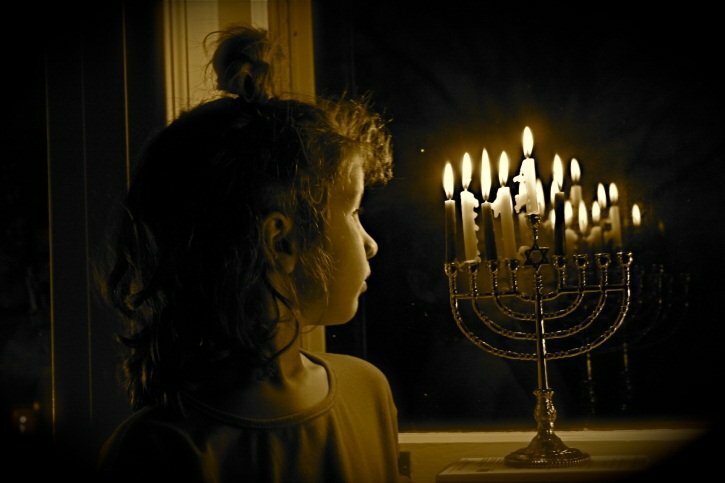 Hanukkah is a special time for us to say thank You for all the little and big miracles in our lives. When we look into the beautiful, pure flames of the candles we remember that no day is just another day. There are blessings around all of us every moment, just waiting for us to notice them. In a recent experiment, people were asked to write a short paragraph about someone who had transformed their lives. After they wrote the paragraph, the experimenter handed them a phone and told them to call the person that they just wrote about and read them what they had just written. Some of them didn’t know the number. Some people went to cemeteries to read their letter at the gravesite of the person they hoped could hear their appreciation. Others reached the person they wrote about and broke down crying as they read their words out loud. Across the board, the participants’ happiness levels rose by as much as 20 percent just from this exercise. So try writing a short Hanukkah card or email to someone that changed your life. It’s best if you send it, but even just writing it reminds us how blessed we are to have inspiring people in our lives. On each day of Hanukkah, write down three new things that you are grateful for each day. This trains our brains to search for the positive in our lives. After a month of keeping a gratitude journal, people begin to think more optimistically and clearly. They stop constantly scanning the environment for the negative, and they notice others’ strengths instead of their weaknesses. The half hour after lighting the candles is a special time for thinking about the new blessings of today. Share them with your family as you sit around the menorah. We look into the flames shining with hope, and we remember our own ability to turn darkness into light. Do one small act of kindness each day of Hanukkah. Open a door for someone. Leave a note somewhere that will make someone smile. Pay for the person’s coffee who is behind you in line. Take a coat you never wear and give it to someone on the street. Give an anonymous donation. Smile. Send a Hanukkah gift to someone who needs it. These small actions increase our own feelings of gratitude and create a chain of kindness. You could be so creative with this. . .
or being a SECRET SANTA when there’s no secret Santa Party. . .
. . .and then there’s the Winter Cold. There’s studies on this stuff, you know? Dr. Mike Tipton, a Professor of Human Physiology at Portsmouth University in the UK studies the human body’s response to extreme environments–like being dunked in icy water or like what so many did on New Year’s Day when many took the Polar Bear Plunge in Lake Erie and I’m sure, other parts of the World. Dr. Mike says the temperature of how your hands and feet dominate your overall sensation of thermal comfort. “You can be warm, but if your hands and feet are cold, you will feel cold,” Tipton states. Hardly earth shattering information, huh? I mean go to a football game in sub-degree freezing temperatures WITHOUT GLOVES and in thin socks and thin shoes. . .you won’t make it till kick-off. at any given moment. . .
Is it REALLY just because we’re different? . . .and it could kick the furnace on in a heat wave. that something will be taken from us. . ..
an U N-C O M M O N C O L D.
now more and more. . .
we actually need each other to accomplish THIS! that THEIR suffering is actually our Suffering. . .
Now, THAT’S NOTHING TO SNEEZE AT. . . .
a life without thick gloves and thicker shoes. . .